This Friday Faves, we’re doing something a little different: instead of featuring a single Etsy shop, I’m bringing you items from six Etsy shops! That’s right, six for the price of one! 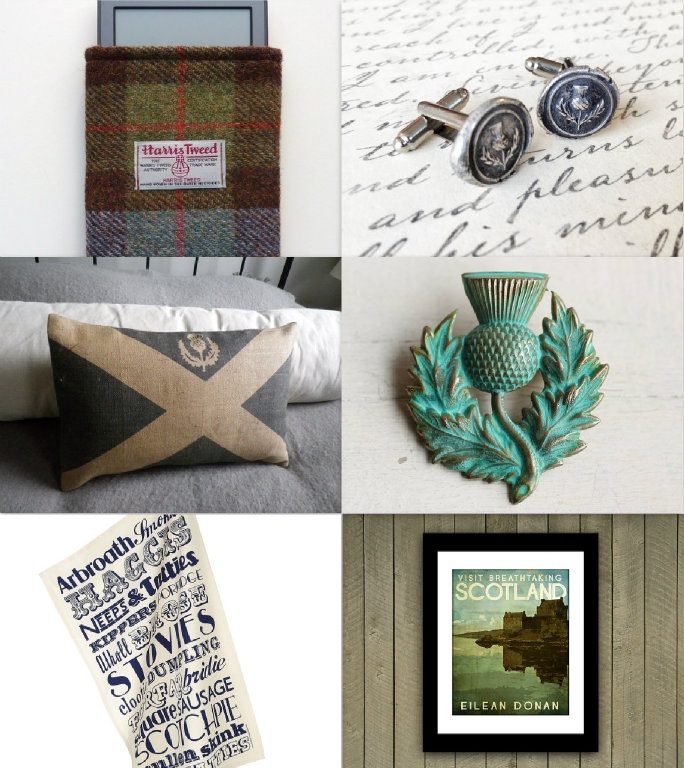 My fave picks this week are Scottish-themed in honor of tomorrow’s celebration of Burns Night, an annual holiday recognizing the Scottish poet, Robert Burns. Burns is most famous for writing Auld Lang Syne but others of his works include Tam O’Shanter and A Red, Red Rose.